Ecalpemos: Some famous cornetists of the music hall era. Some famous cornetists of the music hall era. There was a time when very few people played the trumpet and the cornet ruled the brass section. This ended in the early 30's when dance band cornet players started switching to trumpet and classical composers phased out writing separate cornet parts in favour of the Bb and C trumpets. Kittie Stewart toured UK music halls during the First World War. 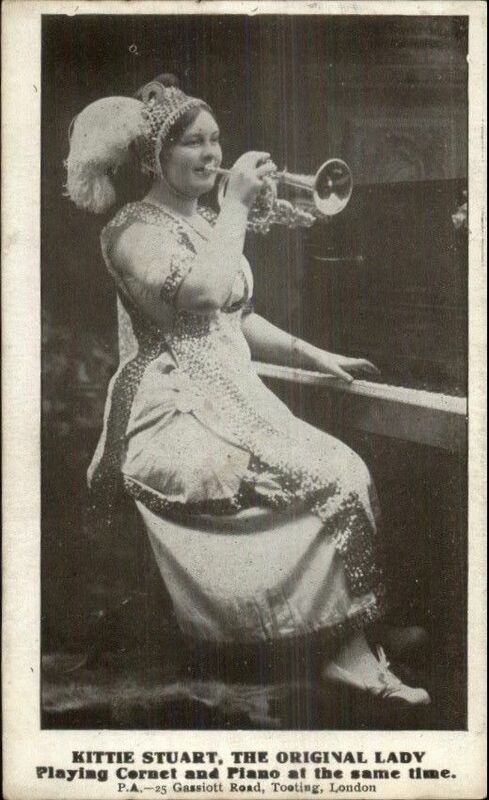 Her unique selling point was that she could play the cornet and piano at the same time. 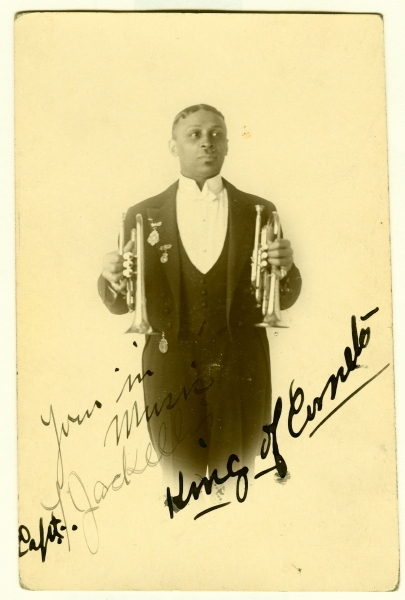 Sticking with the "playing two instruments at the same time" theme, Kittie Stewart toured for a while with a band featuring Captain T Jackellis - who billed himself as "King of the Cornets". Jackellis (his spelling, and presumably his surname) could play two cornets at the same time! Evelyn Hardy had a long career as a cornet soloist and then as a trumpet player fronting her "Ladies' Radio Band".